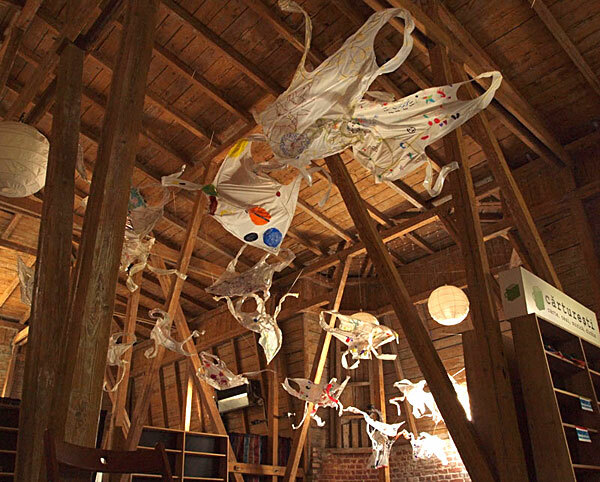 As a socially engaged artist, taking a pro-active approach to participation is a vital element of any project. Those described here are all large-scale and typically between one and twelve months long. 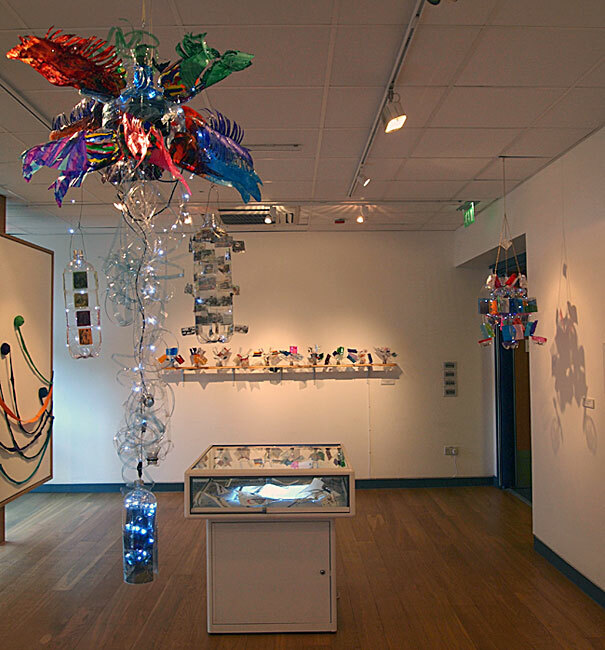 For example, ‘Fat Bird’ was one element of a year-long project working with a residential home, a day centre and two schools. I am equally happy facilitating smaller projects, a current favourite is a weekly ‘Art for the Brain’ session for people with brain injuries or dementia and their friends, family and carers. The approach is person-centred (with no rights or wrongs). 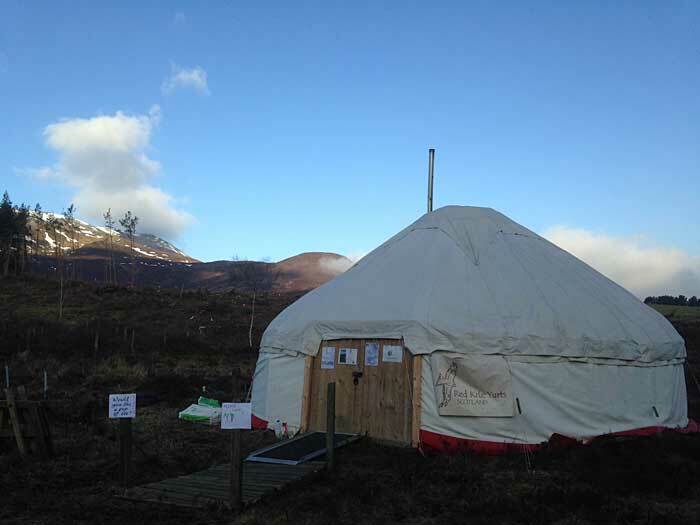 This mini-festival of all things Schiehallion was based in a yurt at the foot of the mountain. It was a safe space to work, play and meet others in. 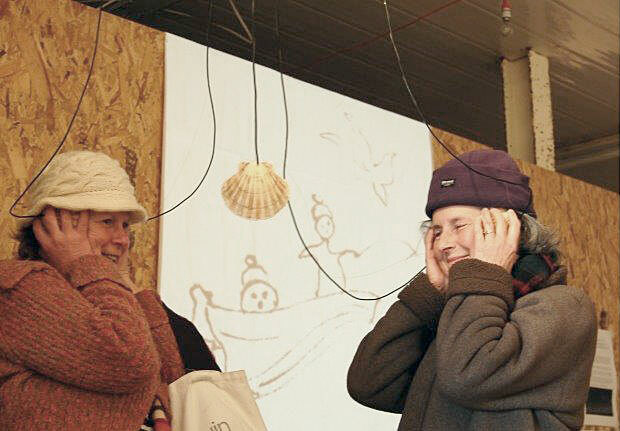 Artlink brings artists together, it works with people experiencing exclusion, disability or disadvantage. 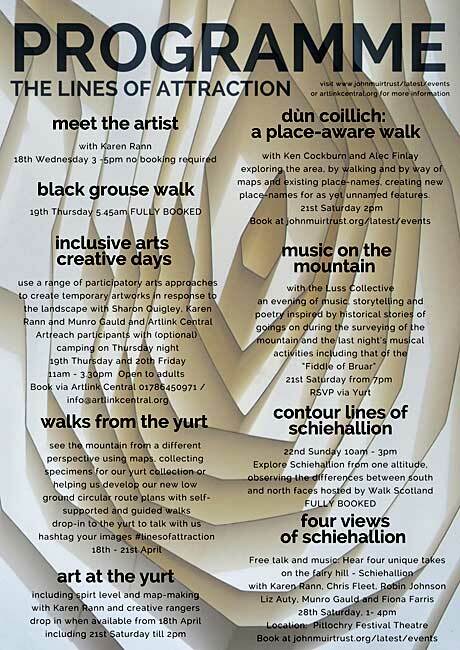 The programme included walks from the yurt: a black grouse watch, a ‘place aware’ walk and a ‘contour' walk. 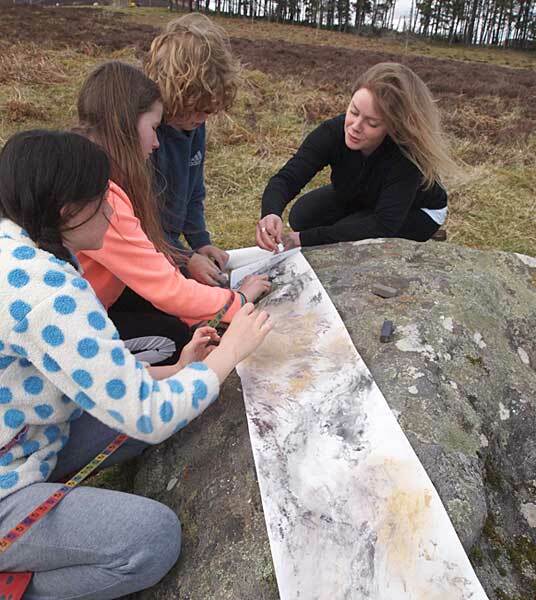 There were five days of art workshops, three based from the yurt involving participants from the Corbenic Community Walking Group and a group associated with Artlink Central. 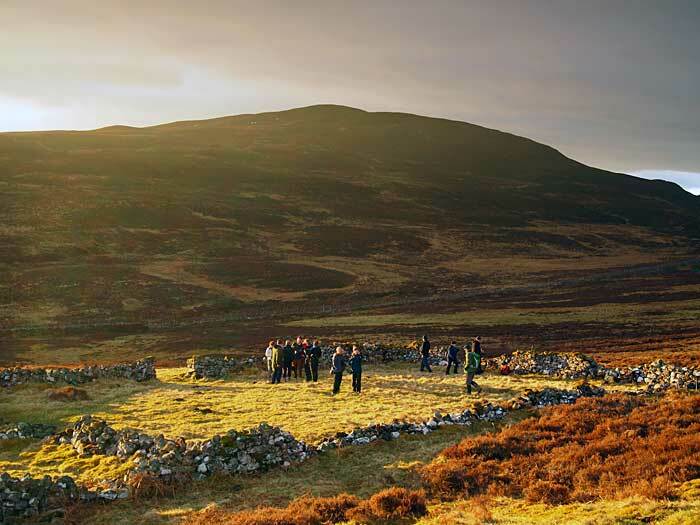 There were also ‘meet the artist’ sessions, tree planting, moth identification and a last night Ceilidh with music, poetry and stories. Two further days of workshops with school groups and an afternoon of talks. Alongside myself, John Muir Trust and Artlink Central was Luss Collective, AlecFinlay/Ken Cockburn, Walk Scotland and Sharon Quigley. 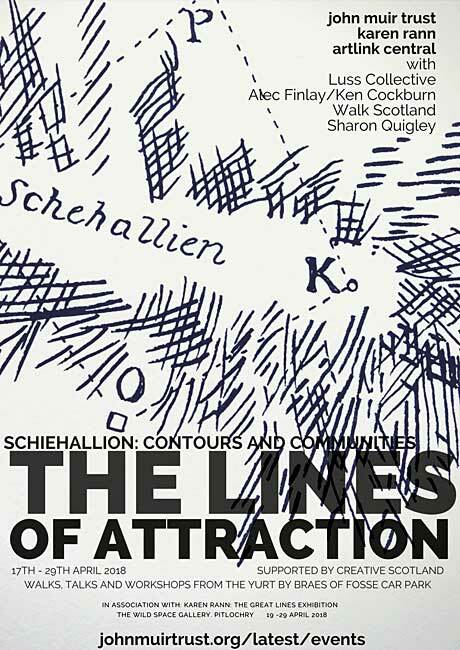 It was funded by Creative Scotland. 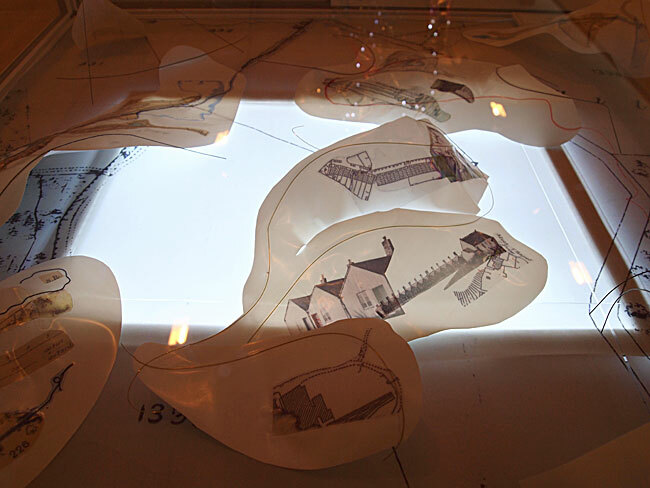 Using images and maps from the library’s archives, materials such as plastic bottles were shaped and fitted with various light sources during participatory sessions to create artworks that ’shine a light’ on the past. This 5 month residency culminated in an Exhibition at Gateshead Central Library and a TV appearance on Creative North. 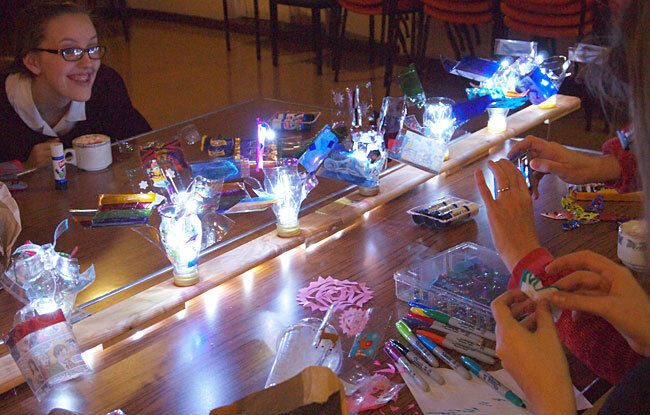 It was a partnership between Gateshead Council’s Library Service & the Arts Development Team with funding from the Arts Council Grants for the Arts Libraries Fund. Please see Traces of Place blog. Major road works on the Cowgate Estate - an issue residents felt strongly about - became the focus of this residency. 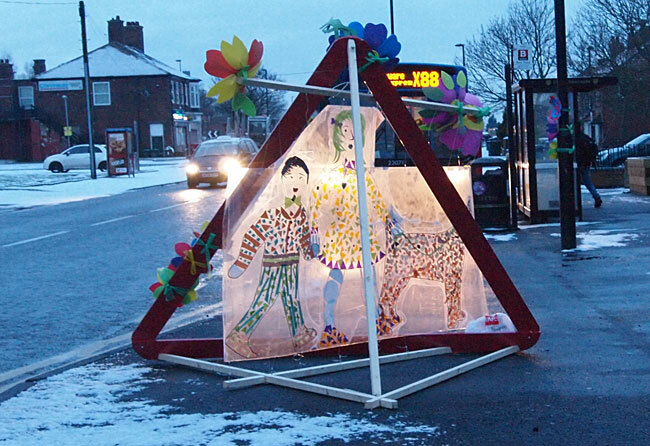 We created a pop-up art intervention that was sited at various road junctions during a week long campaign in January. 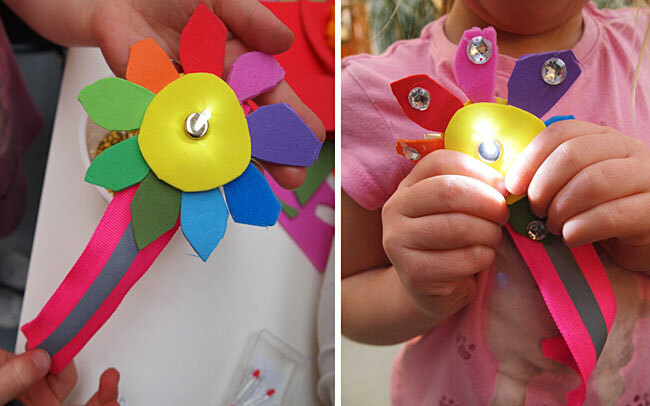 Alongside this, we created highly reflective ‘medallions’ which were handed out in self-make packs during workshops with schools and community groups, at the pop up and as part of our final dog walking event. Please see Traces of Place blog. 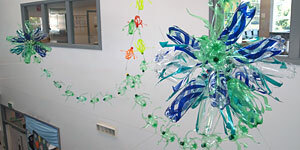 Year 4 children worked with the artist as part of a project on recycling. 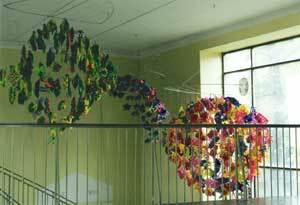 They developed themes and design ideas for this suspended installation at the heart of their school building. 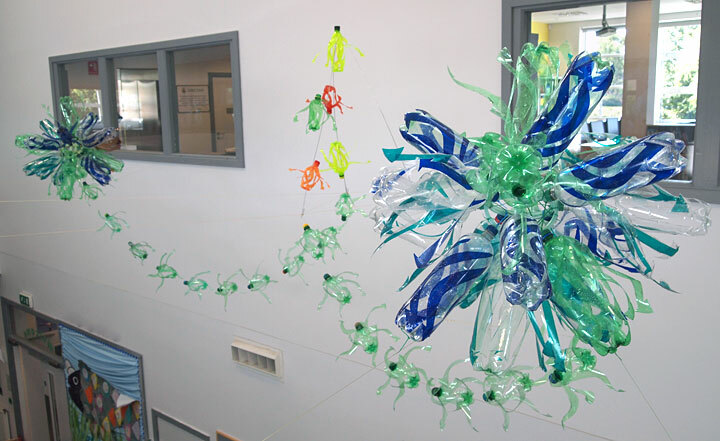 Created from bottles collected in school and other recycled materials; it uses circles, spheres and arrows to represent the cyclical nature of their mantra: reduce, recycle, re-use. 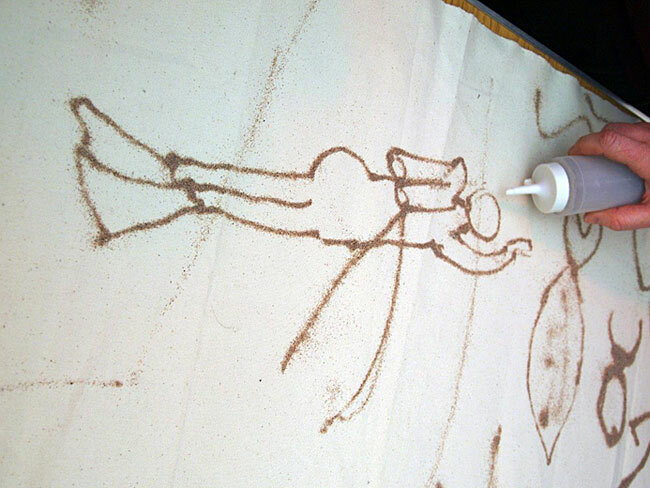 The projected images that constitute Fish Tales come from drawings both in light and (Gairloch) sand created during workshops held as part of a 2 month residency in Gairloch Heritage Museum see Pictish Fish Blog. 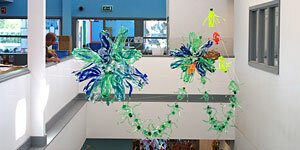 They reflect the importance of the sea in shaping the lives of local people. The accompanying sound piece related stories, poems and reminiscences in such simple joys as a family fishing trip, catching lunch. 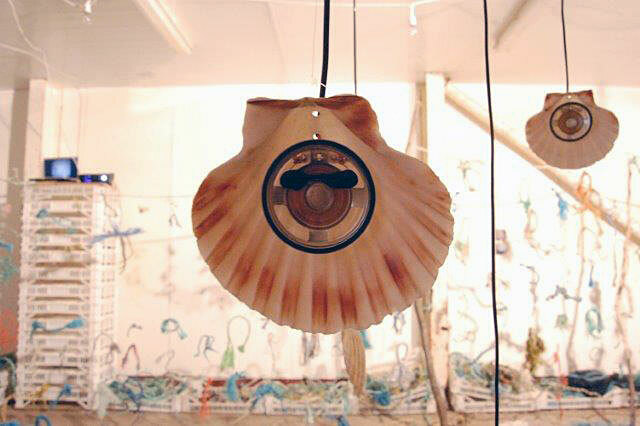 The personal nature of the telling is sustained by having the tales unfold at whisper level; only heard by holding a scallop shell mini-speaker to your ear. 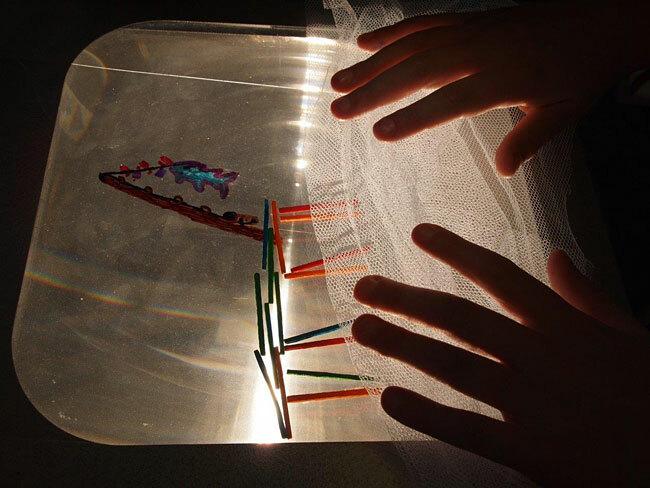 An interactive installation, exhibition and presentation developed through collaboration with Romanian artist Vanda Maria Sturdza as part of Artists in Creative Education (a year-long European Exchange programme funded in the UK through Creativity Culture and Education CCE). We worked with children from three schools (2 Romanian, one in the UK) to explore what we would like ’creativity in school’ to mean. 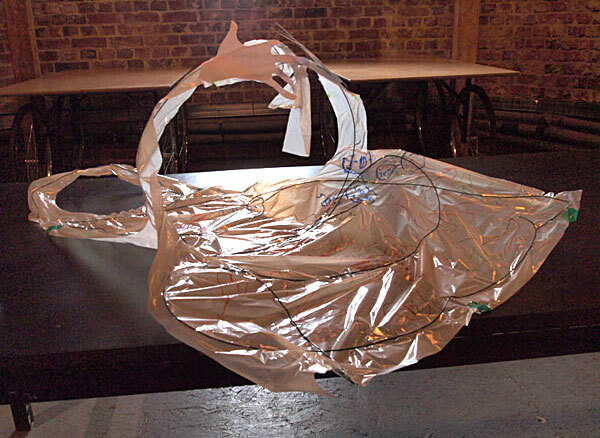 The process resulted in images and words drawn onto multiple plastic aprons - like the empty skins for ideas - participants subsequently added wires to give 'form' to their findings. 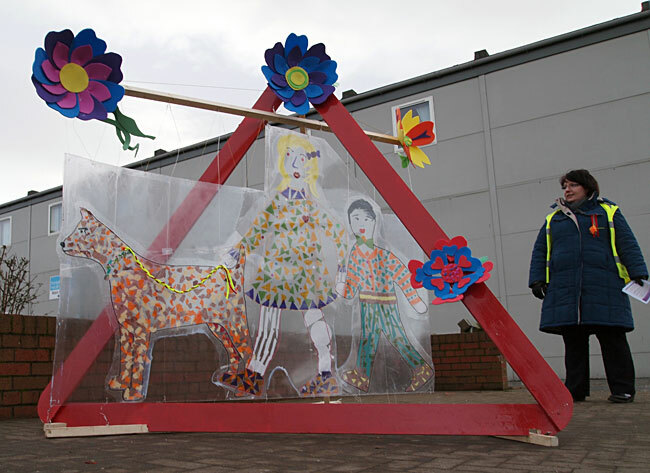 Seven artists were commissioned to work with residents of the Orchard Park Housing Estate on the creation of an 'art trail' open to the public over the bank holiday weekend. 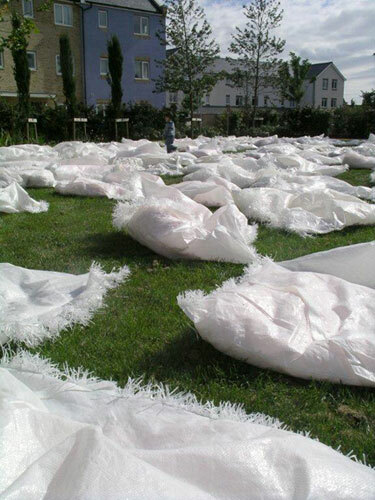 100 square polypropylene cushions were cut, filled with 'out of date' builder’s crash mat polystyrene and sewn on 3 ancient hand-crank Singers. 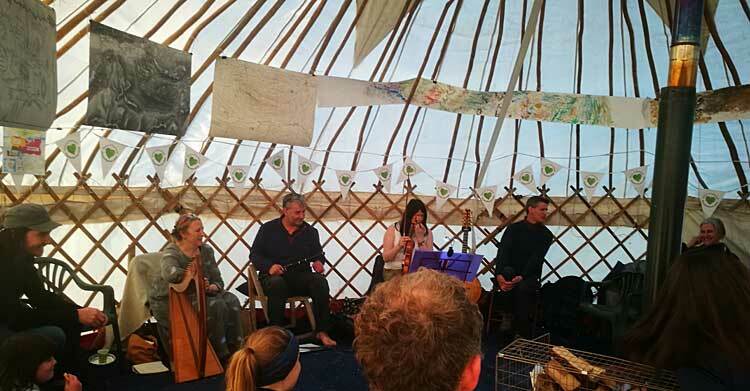 Their Seam visited three locations over the weekend and played host to composer Elspeth Brookes piece And so the night became. The cushions were given away to residents on the final day. This artwork celebrated 90 years of the Northumberland Women's Institute, who in collaboration with Northumberland National Park, supported the laying of 90 flagstones to halt erosion along a beautiful path at Simonside. 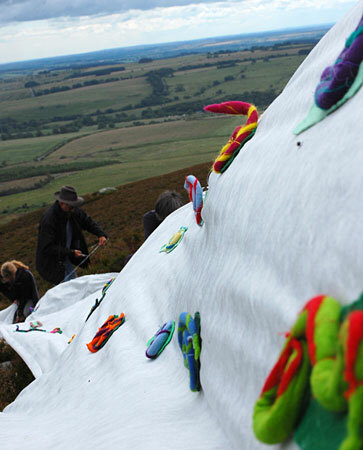 The 90metre long 'art-path' includes over 250 'footprints' from WI members and pupils from 5 local schools. 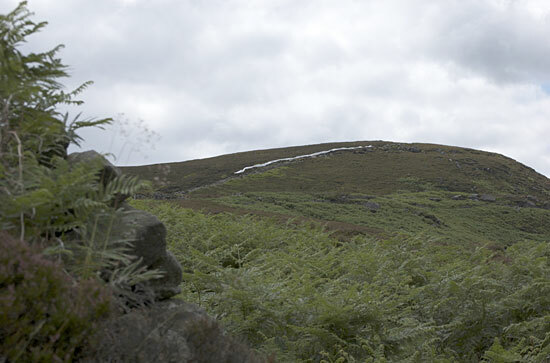 Seed-heads from local heather were incorporated into the work, the intention being they would fall during the artwork's processional journey, thus helping to re-seed heather along paths where erosion has taken away this natural cover. Over 100 patients and staff from four wards of the hospital were involved in this 18 month long project. 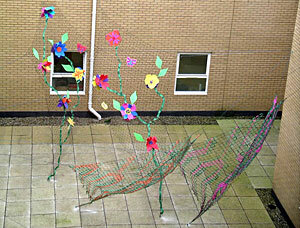 The brief was to create sculptures for two bland/featureless courtyards that the wards face on to. 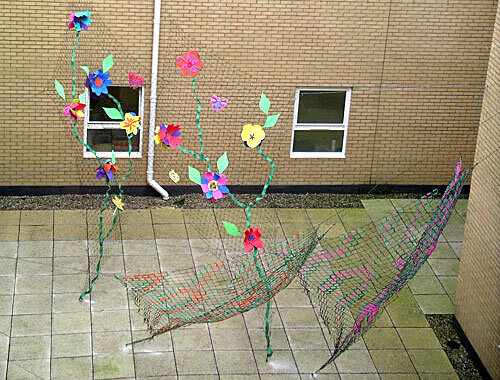 The result, is a sculptural ‘garden’ filled with polyethylene foam flowers and insects designed and created by the patients working alongside the artist. The Arts Centre partially occupies a beautiful old church. 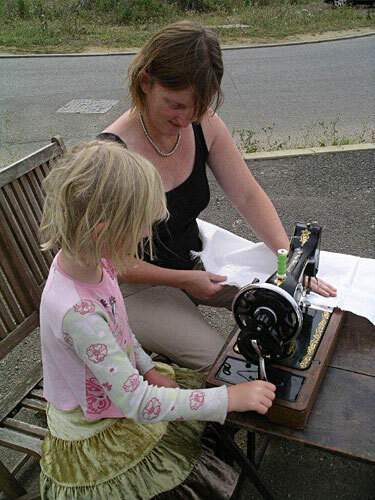 During this month-long residency, I worked with 13 to 19 year-olds who visit the Centre or meet in the square outside. 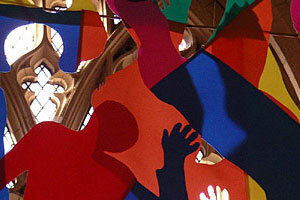 As the largest of the church windows faces the square we decided to use this as a focal point for our artworks. 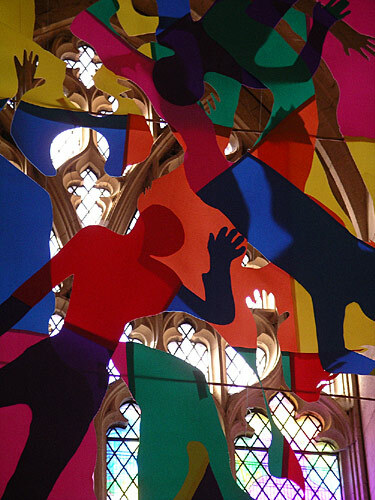 These included a suspended piece within the church tower and a 6m tall, translucent screen which was attached to the window externally. 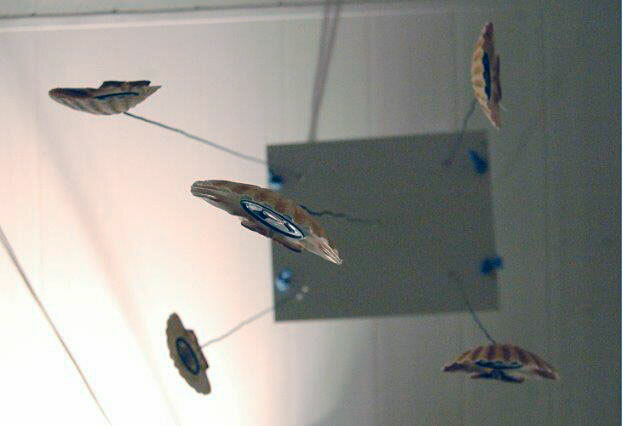 Everyone involved in the project collaborated on the design and creation of these. 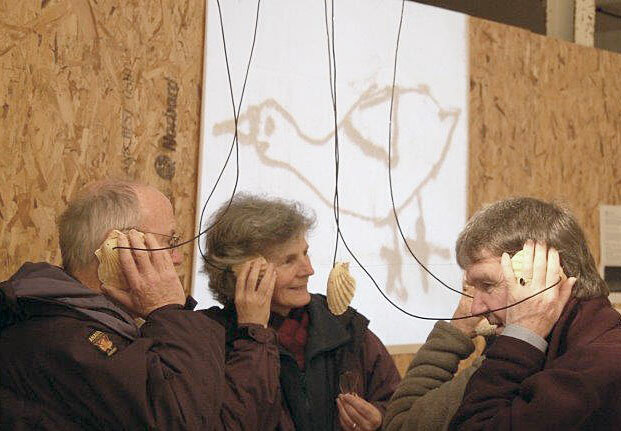 Fat Bird was commissioned by three agencies: Equal Arts, Age Concern and the RSPB. 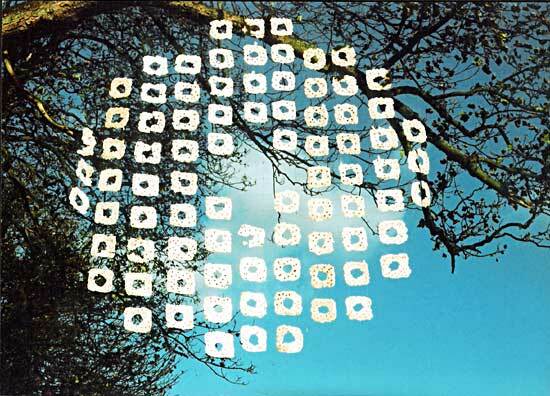 This 3m x 3m sculpture was created by suspending slabs of suet from pea and bean netting, with nuts, seeds and berries embedded in rings. The sculpture was created for birds to eat and - depending on which 'food' was most popular - to be gradually reshaped by the birds. 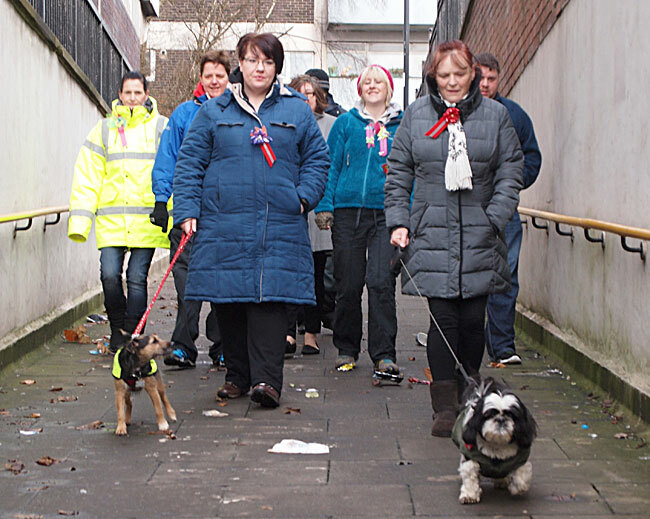 The site was chosen for its visibility from an Age Concern Day Centre involved in the project. Parents attending the baby clinic and elderly people from the Day Hospital were involved in making this artwork for the windows of the Clinic Room. 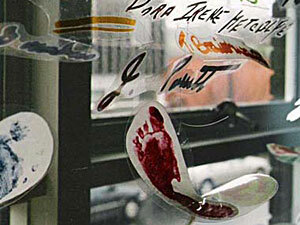 The piece comprised of the babies' footprints and the signatures of the parents and the older people. 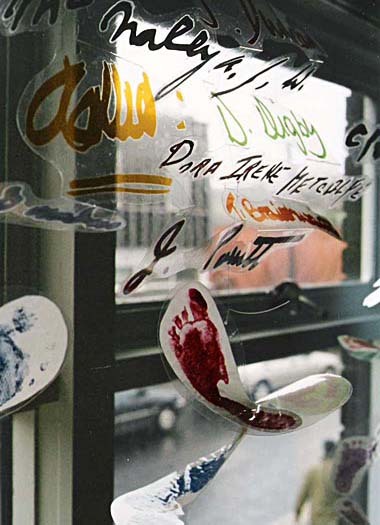 The footprints were mounted onto spirals of PVC that twisted upward toward sections of corrugated PVC that included the coloured and enlarged signatures. The school wanted a hanging installation for its entrance hall. After two brainstorming and sketching sessions the six pupils came up with the idea for three hanging structures: a quarter, half and full sphere. The pupils then decided on colour schemes for the three and made all the polyethylene foam 'modules' that form the installation. The only tasks remaining were to keep the project practicable and to make the aluminium frames. The Gallery houses the largest collection of Tiffany Glass in Europe. 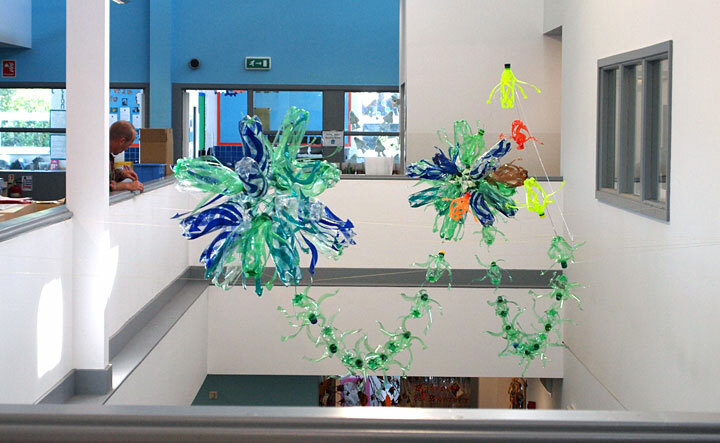 The intention was to create an installation that reflected the bright, translucent colours and intricate designs of the glass. 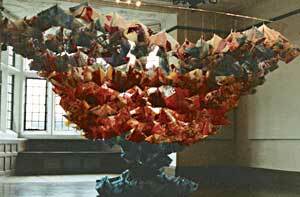 The 3metre diameter structure took on a vase-like shape, but was constructed from 900 sheets of A4 tracing paper. Each sheet was individually collaged by workshop participants - a special needs group, a school group and other sessions open to the public.